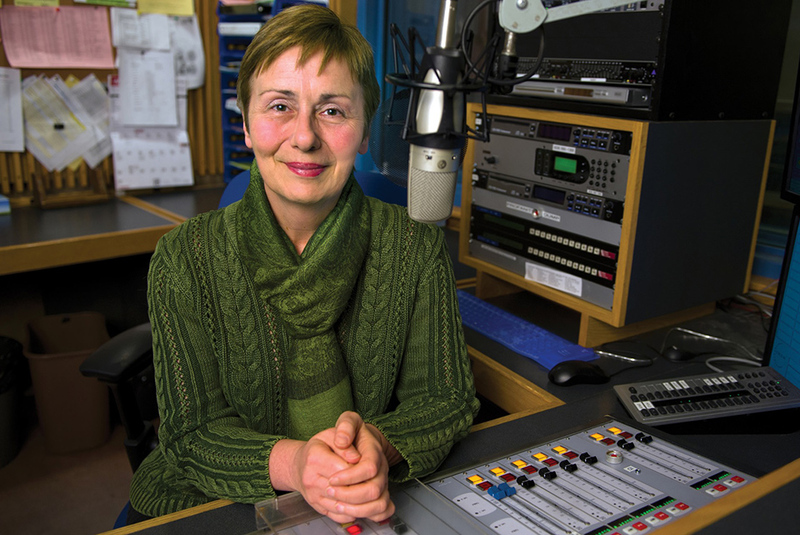 After 31 years at Wisconsin Public Radio (WPR), including 14 years as host of "The Joy Cardin Show" on The Ideas Network, Joy Cardin has announced that she plans to retire following her final live broadcast on Sept. 29. "All of us know Joy as the thoughtful and dedicated host of our morning show on The Ideas Network," WPR Director Mike Crane said. "Her humor, curiosity and insights have kept listeners engaged and informed since she stepped into that role full-time in 2003, but Joy’s impact on WPR goes beyond her success on 'The Joy Cardin Show.'" Joy joined WPR in 1986 after working in television news at WSAW-TV in Wausau and WLUK-TV in Green Bay. She helped establish WPR’s Green Bay bureau and served as the local host for NPR’s "Morning Edition" while covering regional news for statewide broadcasts. In 1992 she was named current affairs director, which oversaw both news and talk. "As a leader in programming, Joy helped establish some of our most popular segments, including 'Garden Talk,' 'Week In Review,' 'On Your Money' and the national show 'Calling All Pets,'" Crane said. "The Joy Cardin Show" has received many accolades since it was launched nearly 15 years ago, including a Best Morning Talk Show award from the Wisconsin Broadcasters Association in 2012, and Joy has been a welcome companion for listeners starting their days across the state. It is with great anticipation and some apprehension that I announce my retirement from Wisconsin Public Radio. My final live broadcast will be on September 29, 2017. Thank you for giving me the opportunity to work for you over the past three decades. Thank you for your participation in our early morning discussions about the issues of the day and the topics that help improve our lives. Thank you for your passionate views on politics during the “Week in Review” and “The State Capitol Report”. Thank you for playing along with our “false praise” joke during “On Your Money”. And thank you for your “Tell Joy Where to Go” assignments that allowed me to explore our great state and share information about Wisconsin life and culture. I am extremely fortunate to have worked for more than half of my life in a profession I love, in a state that I love, for an organization I love. I am proud to have been a part of this historic broadcasting experiment that started 100 years ago and will continue its pioneering efforts into the next century. Since I started my career with WPR in 1986 as the Green Bay Morning Edition Host and Reporter, and then moved to Madison to become News Director, Talk Director, Ideas Network Director, and Ideas Network Talk Show Host, I have enjoyed my role helping you make informed political decisions, inspiring you to make changes that benefit you and your community, and keeping you company on your morning commute. We have learned together, laughed together and cried together. I will miss our morning discussions, but I will enjoy sleeping in later than my current wake-up time of 1:00 a.m. I look forward to traveling more with my already retired husband. I also plan to pursue other interests that were difficult to do with my schedule. I will continue in the search for answers and understanding from the other side of the microphone. Kate Archer Kent, a familiar voice for listeners of both WPR networks, will serve as interim host of "The Joy Cardin Show" — which will be renamed — beginning Oct. 2. WPR is exploring ideas for a new Wisconsin-based show to be launched next year, and a national search for a new host will be launched this fall. We encourage you to leave notes of appreciation for Joy in the comments section below. If you have additional comments or concerns, including questions about programs, please contact WPR's Audience Services toll-free at 800-747-7444 or email listener@wpr.org.